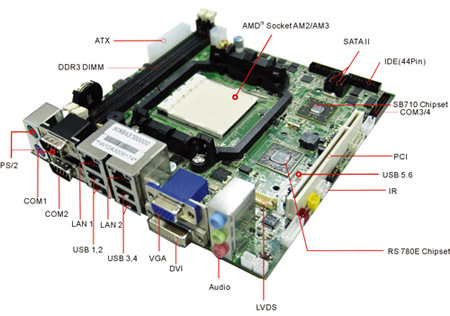 With AMD Am3 Processor and AMD RS780E chipset integrated ATI RadeonTM HD3200, Winmate has introduced the latest motherboard, A370, to provide one advanced choice for users who have higher requirement for digital graphics. The viewing area can be enlarged by support of Dual Screen code. 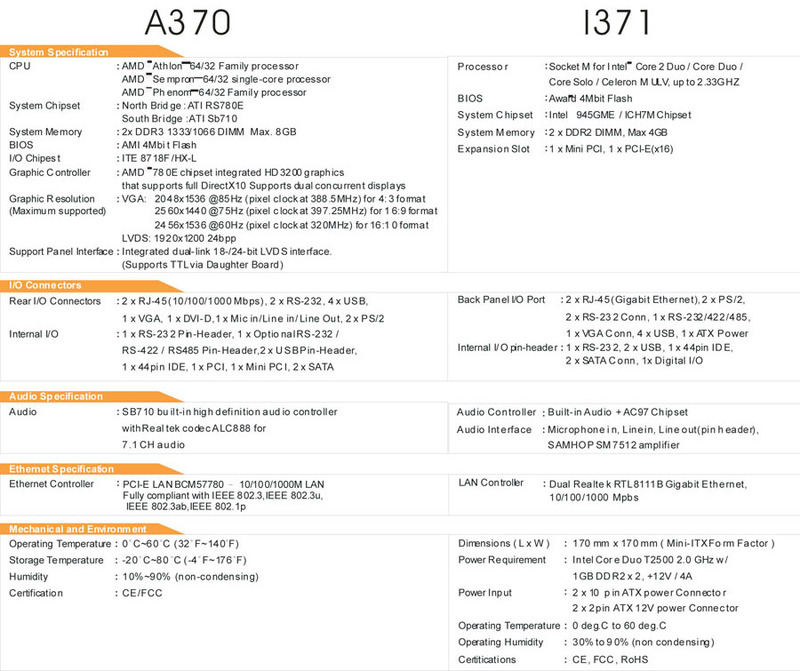 One specific feature is the ATX power design A370 also supplies multiple I/Os inclusive of PS/2, RS-232, USB, RJ-45, VGA, DVI-D and Mic-in/ Line in/ Line Out that can fit users' various demands for I/O connectors. Added an ATX power, I371 is a more advanced Mini-ITX motherboard than the previous I370. 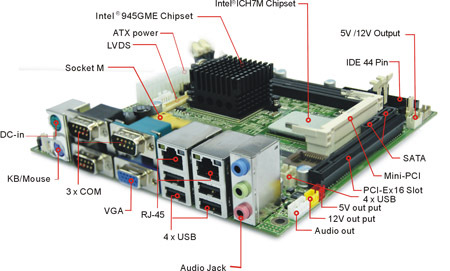 Based on Intel Core 2 Duo/ Core Duo/ Core Solo/Celeron M ULV processors, I371 offers multiplel connector options such as RJ-45, PS/2, RS-232, VGA and USB.